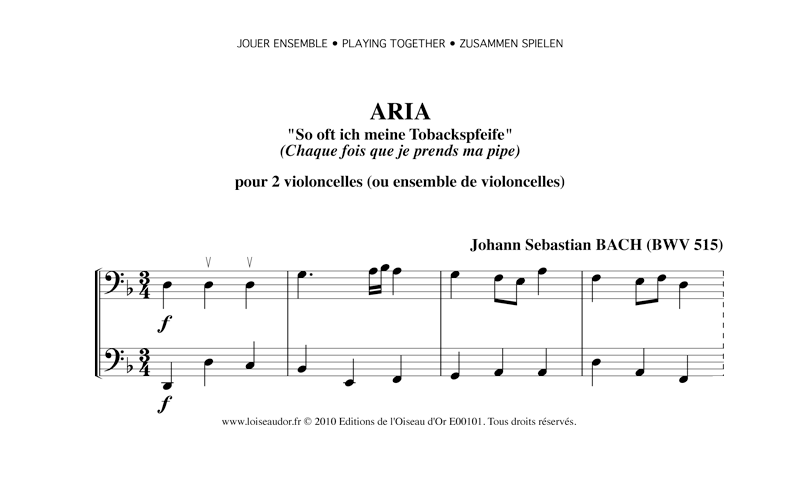 Two versions are presented : the first as Bach has written it in the Little Book of Anna Magdalena, the first cello in charge of the melody, the second cello in charge of the bass with the two usual repeats ; the second version is the image of Offenbach's duets with the two cellos exchanging the melody and the bass. The piece being quite developed, there are no repeats. In the same collection, see version with viola or violin. 4 pages : the download includes two scores and two of each.